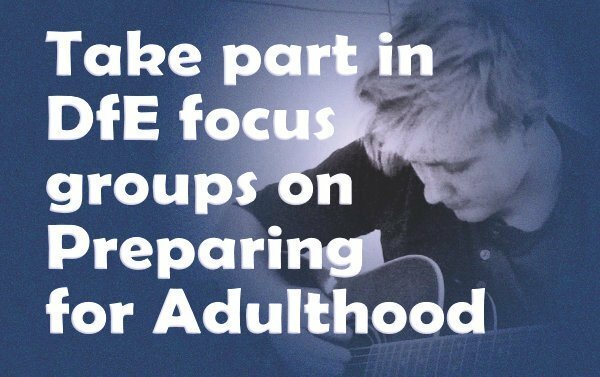 A quick post today with an opportunity for parents interested in the Preparing for Adulthood agenda for young people with special needs and disabilities. The Department for Education has asked SNJ and the National Network of Parent Carer Forums to bring together two groups of parents for two events around PfA, one in London and the other in Sheffield. The DfE would like to get a feel of how well informed parents are about the PfA elements of the reforms and whether schools, colleges and LAs are discussing the four outcomes in annual reviews from year nine onwards as they should be. This will be of particular interest to parents who have perhaps not had a chance to give their views at this level before. I'm looking for seven parents for each event. If you are an NNPCF member, please get in touch with Maureen Morris to book your place. Your views on post-16 and post-19 provision. Remember you MUST be available at one of the above times and locations before you send in the form.